Rock Band music camp is our most popular music camp. 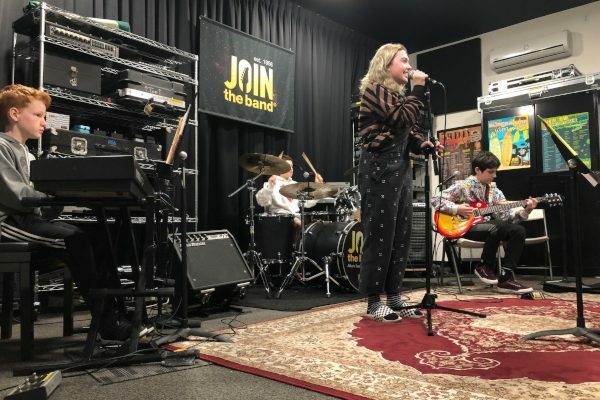 Rock Band Camp is great for kids and teens looking to make new friends, and play in a band under the guidance of our JTB staff of professional musicians. During the week you will play in a band with kids of a similar age and level while preparing for a Friday performance. What will I do in the rock band music camp? Work on songs that you and your bandmates choose throughout the week with our qualified JTB Band Leaders. You will have instruction and playing tips for your instrument. Work on arranging skills and rehearsal techniques. Proper use of live sound equipment including amplifiers, microphones, etc…. Learn role of a each instrument in a band and why each role is important. What are the Rock Band Music Camp hours? 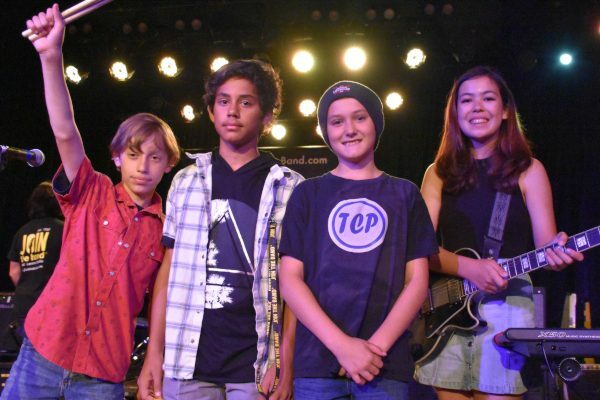 Rock Band Music Camps are held throughout the summer and meet from 9am – 2pm. Monday through Friday. Advanced Rock Band Music Camps are from 9am – 3pm. Monday through Friday. Rock Band Music Camps meet throughout the summer. 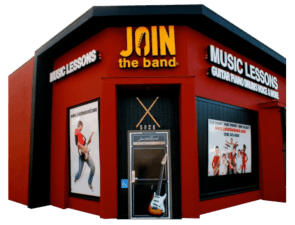 13-18yr Advance Rock Band: 9am – 3pm with a half hour lunch break. Rock Band Camps at Join the Band are a fun way to meet new friends and play music with like minded kids. Find the right camp for your kids.